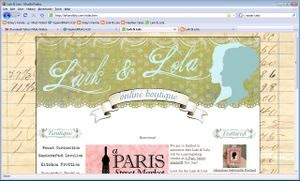 Now introducing LarkandLola.com, my online boutique! I'll be adding more to the site all the time, so bookmark it and visit frequently. Can't wait to see you there!